It’s advent today! I’m going to kickoff the Christmas season with the first of my Christmas Specials, which will mostly feature recipes of Tamil Christians from the deep south of Tamil Nadu. There’ll be one every Sunday from now till Christmas. When we got married, my mother gave each of my sisters and me a recipe book with many recipes she had collected. This recipe was in that book but I didn’t remember her ever making it. When I asked, she said that it was because the kolusa paniaram smelled of egg and it would disintegrate while frying. I later on discovered that she didn’t make it because she was allergic to egg. I tried the recipe and found that the paniaram did smell of egg, but the smell disappeared when coconut milk was added. I don’t know what ‘kolusa’ means, but this makes a very tasty snack with a star shape that is perfect for the Christmas season. I had chicken in the freezer that had thawed out and would spoil if I didn’t cook it. I had no electricity to power my blender, which most Indian cooking depends on. Modern Indian homes also don’t have an ammi (grinding stone) to prepare the masala. Standing in my candlelit kitchen, I came up with this simple recipe which does not require electricity to prepare the masala. I came up with this recipe during the recent rains. I usually stock up on a variety of ingredients during the northeast monsoon as depressions form in the Bay of Bengal and we can get heavy rain for even a week, but this time I was caught unprepared. 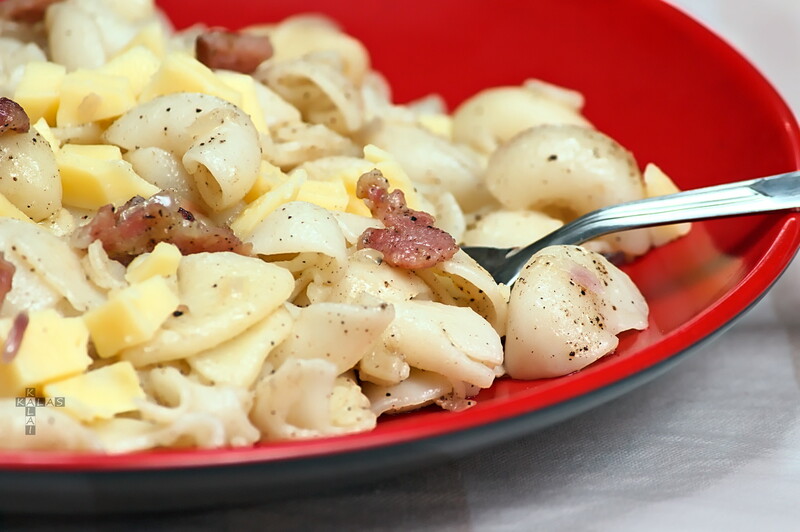 I had these ingredients on hand and quickly whipped up this dish which was very well received by my children. It is a warm, high energy and high protein dish that is ideally suited for a cold and wet rainy day. Deepavalli, the festival of lights, is celebrated on November 10th this year. Various kinds of sweets are made in households and the children love taking the sweets to their neighbours, dressed in their new outfits. 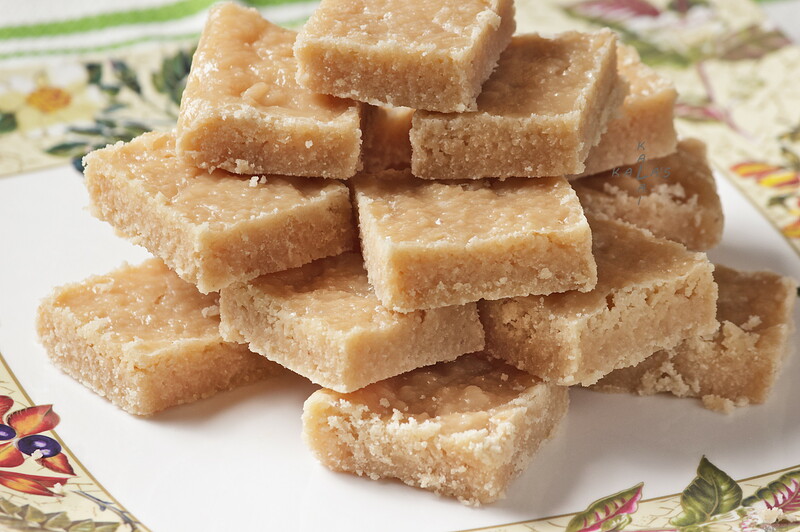 Nowadays most of the sweets are typically bought from stores, but some sweets are still made at home and the coconut burfi is one of those. It is also made during Christmas in Christian households. When I started school I was told that eating ladies fingers would improve my mathematical skills, and because I disliked mathematics I made it a point to eat as much of ladies fingers as possible. Though it did not make me any better with numbers I love this vegetable and have tried to create different recipes with it. 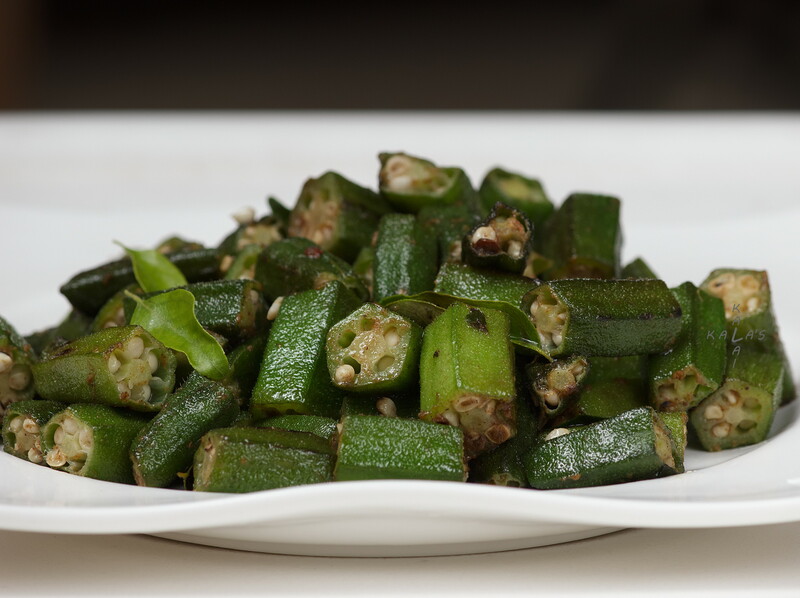 This particular poriyal/fry uses only 4 ingredients apart from the ladies fingers. It is very easy to make and can be dished up very quickly. One can use different curry powders to give variety in flavour.